The federal student loan repayment benefit is on the Republican chopping block again, at a time when the latest government data show that agencies are investing less in the benefit. The GOP fiscal 2015 budget proposal supports eliminating the incentive agencies have used since 2002 to recruit and retain skilled personnel who might otherwise choose a higher-paying job in the private sector. While the number of federal employees receiving the perk increased by 4 percent in 2012, the average student loan repayment benefit actually decreased by 6 percent compared to 2011, according to the latest data from the Office of Personnel Management. The federal student loan repayment program permits agencies to repay federally-insured student loans to recruit or retain highly-skilled employees, and its implementation varies widely across government. Agencies have the authority to grant up to $10,000 a year for a total of $60,000 in student loan repayments in return for a promise of three years of service from workers. The money can go to new recruits or current employees. OPM reported that 409 more federal employees received the repayment benefit in 2012 than in 2011, but the average individual payout in 2012 -- $6,670 -- was $421 less than in 2011. Thirty-five agencies provided the benefit in 2012 at an overall cost of $70.3 million, less total money than in 2011 and 2010. Since 2008, the government has provided $342.1 million to federal employees to help them pay back their school loans. 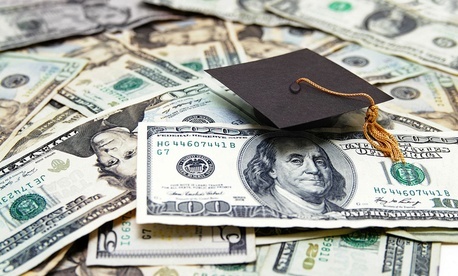 Getting rid of the student loan repayment benefit would not yield significant savings as far as the federal budget is concerned, but according to OPM, many agencies currently aren’t using the benefit anyway because they lack money to offer it, or are encountering resistance to certain requirements. “Several agencies specifically commented that budgetary issues were a major impediment to using student loan repayments as a recruitment or retention tool in [calendar year] 2012 and would likely remain one in the near future,” the OPM report stated. Other agencies said some job candidates are reluctant to commit to three years of federal service at one agency. In addition, significant use of the benefit is not widespread across government. Statistics show that most federal employees receiving the perk work at one of three departments: Defense, Justice and State. Those agencies paid out more than 70 percent of the total $70.3 million in 2012. “Notably, the governmentwide increase in the number of employees receiving student loan repayment benefits during [calendar year] 2012 can be almost solely attributed to the DoD’s student loan repayment program,” the report said. The department, which provided the benefit to 1,012 more employees in 2012 than in 2011, said it needed to attract skilled personnel in the fields of medicine, engineering, logistics and contracting. Defense provided the benefit to 3,306 employees in 2012, according to the OPM report. “Medical care for wounded veterans; support for war efforts; additional contracting demands in Iraq and Afghanistan; and ongoing and new projects relating to disasters were among the factors leading to increased usage of student loan repayments in [calendar year] 2012,” the report stated. The Republican budget plan, which the full House is expected to vote on this week, overall seeks to balance the budget in a decade and reduce spending by $5.1 trillion during that time through reforming the tax code and entitlement programs, and streamlining other government programs. Other priorities include repealing the 2010 Affordable Health Care Act, and eliminating waste governmentwide. “Federal pay, benefits and mismanagement of properties are just a few areas where savings should be achieved,” the blueprint stated. Where the framework seeks to reduce benefits to civilian federal employees, it pledges to provide military service members with the “best equipment, training and compensation for their continued success.” It also carves out more money for veterans. “Veterans are, and will remain, the highest priority within this budget,” Ryan’s proposal stated. However the document expressed concern over the Veterans Affairs Department’s “elusive” success to date toward eliminating the disability claims backlog and veteran homelessness.